Many trees are susceptible to a variety of diseases. We offer solutions to help solve your tree's problems. Fight Oak Wilt and Other Diseases! 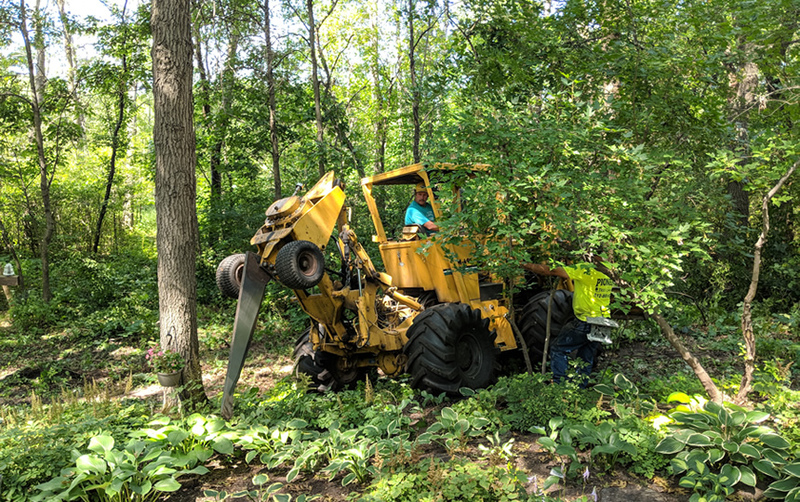 Oak Wilt and Dutch Elm Disease are prevalent in Minnesota but can be prevented and treatment may be an option. If you suspect Oak Wilt or other disease or insect problems on your property, we can work to stop it from spreading and eliminate it. Root Plowing and Injecting are options along with sanitation of area. 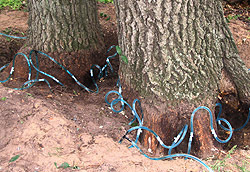 Red Oaks must be treated before they are infected. White Oaks can be treated in earlier stages. 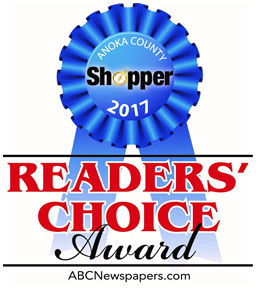 Contact Pioneer Tree Service with your tree concerns and see what your options are. There are many boring insects attracted to various trees, especially trees already under stress. Boring insects lay their eggs under the tree bark and their larvae feed on the interior of the tree until mature and then bore their way out through the bark as adults to start the cycle over again. The boring leaves telltale signs - exit holes. 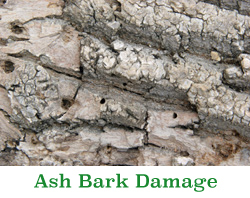 The feeding under the bark causes the real damage and will kill your tree over time. 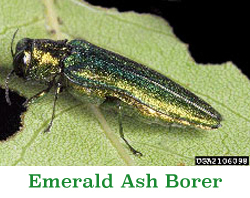 Emerald Ash Borer is probably the most familiar but there are other borers specific to Oaks, Birch, Pines and more. Insecticide can effectively protect trees from insect damage. you want to save the tree. the damage done is not too extensive. 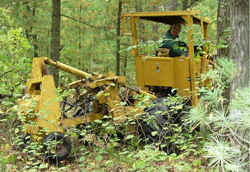 Pioneer Tree Service maintains MN license to apply these products to your trees. Pioneer Tree Service offers solutions to improve the health of your trees and their growing conditions. For more detailed information on Tree Diseases and Insect Problems, visit some of the helpful links on our contact page. Pioneer Tree Service stays current with university and government agency recommendations on tree care.